Breaking News! Anthony Ledesma Transfers to TC! Anthony Ledesma, El Monte’s starting quarterback the last two seasons, has transferred to Temple City. The deal—pardon—the transfer, pending for several weeks, is now confirmed with a verified change in address. Ledesma officially withdrew from El Monte early this morning. The El Monte administration said it will not protest the transfer. Ledesma’s arrival serves as the final piece to Temple City’s strong off-season. 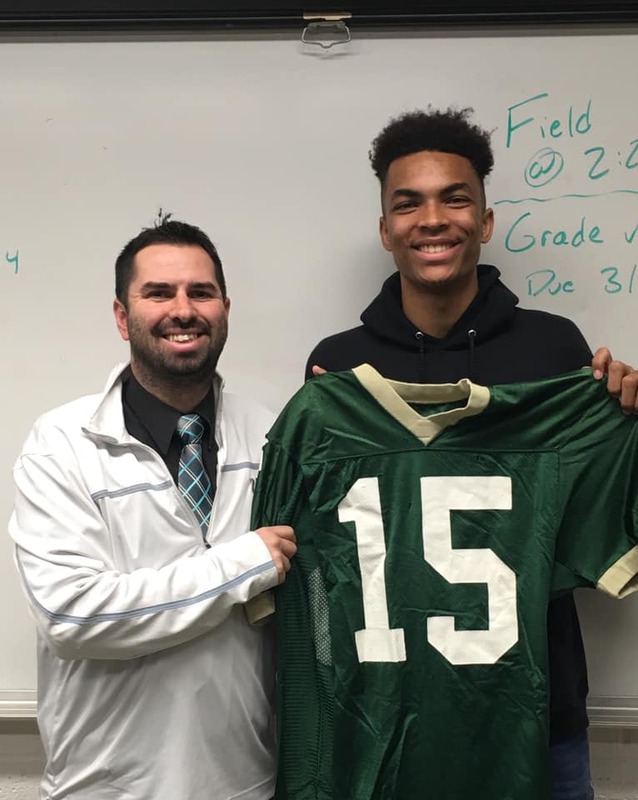 After landing sophomore wide receiver, Johnson Jones out of Pasadena and center, Ivan Jakes out of Cathedral, TC HC, Paul Crew scored big with the veteran quarterback. Ledesma passed for 2,877 yards and 25-touchdowns as a junior a year ago. In two seasons as a starter for the Lions, he threw 47 touchdown passes. 24 Comments to "Breaking News! Anthony Ledesma Transfers to TC!" Yes, a parody of recruiting and transfermania in the CIF Southern Section, with supernatural overtones. It should be a real page-turner! I’ve seen Ledesma play. He has quite the live arm and can run. He will do well in Crew’s new offense he is installing. With the addition of Jakes and Jones they are only a couple pieces away. Rumor is that a couple of OL from out of state will be coming in, if SJB or Bosco don’t get them first. i don’t understand the picture. Why is he holding up a jersey like a newly recurited college player choosing his school of choice. From T. Peterson: Because he’s a newly recruited high school player showing the jersey of the high school of his choice. I got it. You guys got paid to hype Anthony Ledesma. From T. Peterson: Well, yeah. He did have a big year last season. The ghosts of past champions inhabit the Temple City Rams’ locker room. 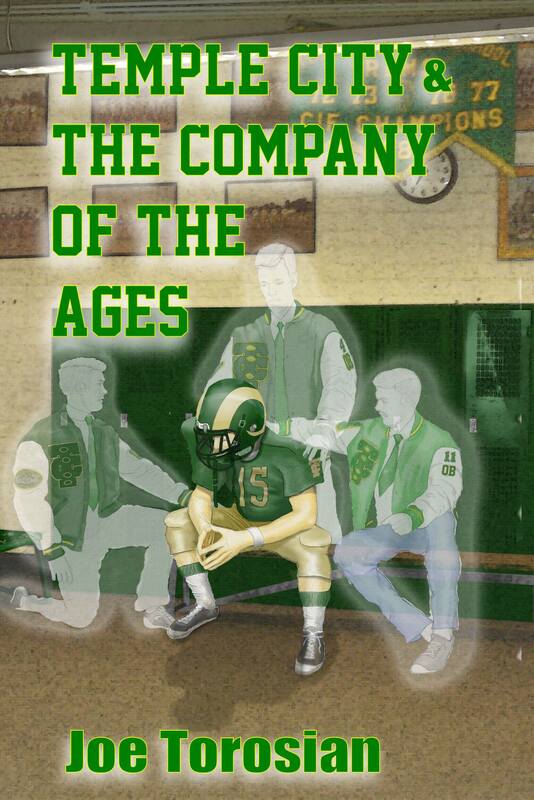 That’s an interesting premise for a high school football novel. “Friday Night Lights” with a supernatural twist? All League QB last year 10 TDs 1 INT, just saying. From T. Peterson: You still don’t understand it right? Alfred E Neuman to be named CEO of Mid Valley Sports after sale of MVS for 20 billion to Jeff Bezos. Terrible advert. I see Joe’s on his way to selling dozens of copies. What happened to coach Saxon? Nice plug there for Joe T., I’m sure I will be ordering a copy. so is this fake or real? if real, im glad EM has the balls to respect the family and players wishes to transfer…. if a kid wants to leave, let them go! wish them luck. ALL YOU DUDES ARE MORONS, IT CLEARLY STATES THAT THIS IS A BOOK BY JOE TOROSIAN! THE FOLLOW UP TO HIS MASTERPIECE TANGENT DREAMS. WRITTEN BY GRIP TEAGUE??? From T. Peterson: BINGO!! You win the prize! I was wondering how long it would take somebody to figure it out! There is no one named Ivan Jake’s at Cathedral. Nobody from Cathedral transferred to Temple City. wow… who else but TC Rams fans would care? Hate how everyone makes a big deal about where they transfer to… this isn’t the NFL. Pretty soon we’ll see posts about kids transferring to other youth league teams or some stupid ish. I can’t find any player named in the article on any of the teams maxpreps rosters from last year. And when did Crew become HC at TC? Is it April 1st? Fake news! Sure looks like Riley Saxon introducing him so who is Paul Crew and when did he become head coach at TC? Regardless, this changes the landscape in Rio Hondo. Don’t see the kid on EM’s roster from last year. Fake News!! Is this NFL free agency or High School??? Does that mean he will actually attempt to pass the ball? I know EM doesn’t do that so I’m asking.